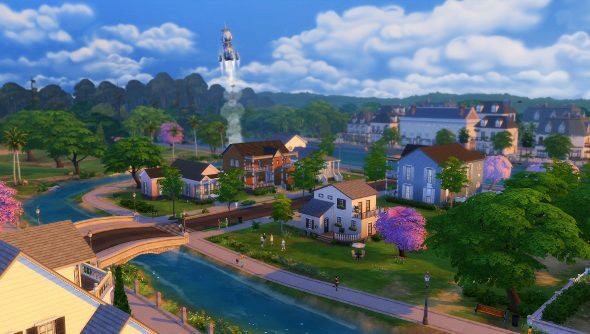 The Sims 4 recommended system requirements: can you reticulate the splines? EA revealed the minimum system requirements for The Sims 4 last month, which were comfortably low so that few rigs couldn’t handle it, and now the recommended requirements have snuck their way into the FAQ. While not exceedingly demanding, they are quite a bit higher than the minimum specs, and will likely leave anyone with a PC that’s more than a few years old struggling a little bit. While nothing jumps out as especially surprising, given the broad swathe of people who play The Sims, people who might not otherwise play many games or see the point in investing in a modern PC, it’s not on the low side either. But with the minimum requirements being so forgiving, that doesn’t seem like a massive problem.